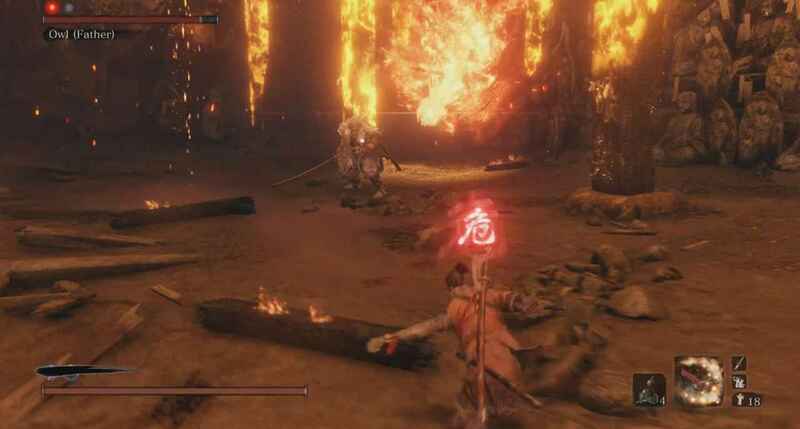 Owl (Father) is the boss found at the end of the Hirata Estate when you revisit it following Emma’s questline in Sekiro: Shadows Die Twice. You can see how to get there with this ending guide from Powerpyx. You want to follow the guide for the Purification ending. Owl (Father) is an incredibly tough fight. He is more erratic and nimble than when you fight him earlier in the game. 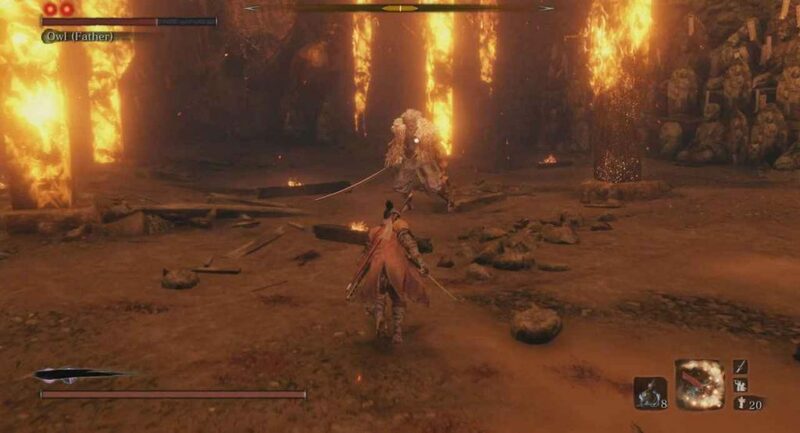 Before we start this guide, I highly suggest reading through my Great Shinobi Owl Boss Guide as a lot of his moves here are the same as they were there. However, there are some moves that are different or not present in this fight at all. The biggest thing to note in this fight is that he can cancel almost all of his attacks and combo them into different attacks. Any of Owl’s standard sword attacks should be deflected, with you attacking once or twice at the end of his combos. If he jumps into the air, you can dodge to the right underneath him to avoid the slam and get a few hits in. 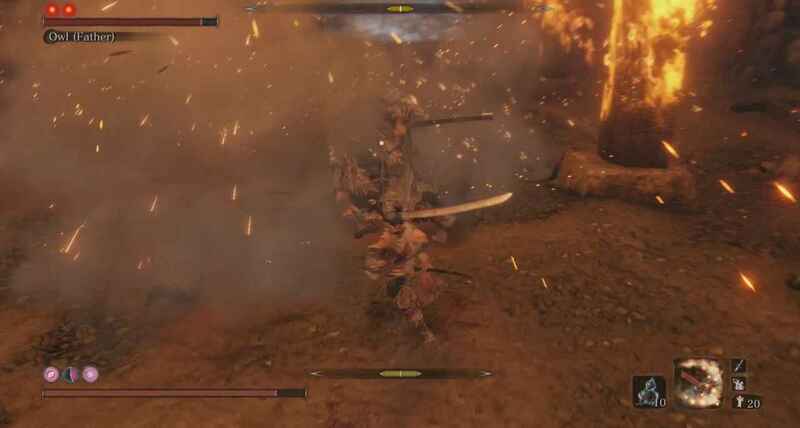 When he throws gunpowder, you want to immediately run around in a loop to the right to dodge it and get a few hits in after. If he dashes twice and a Perilous symbol appears, you want to jump over his sweeping attack. He will then follow this up with an overhead slam. Wait until he grunts and dodge to the side to get a few hits in. If you dodge too early, he will perform another sweep instead. 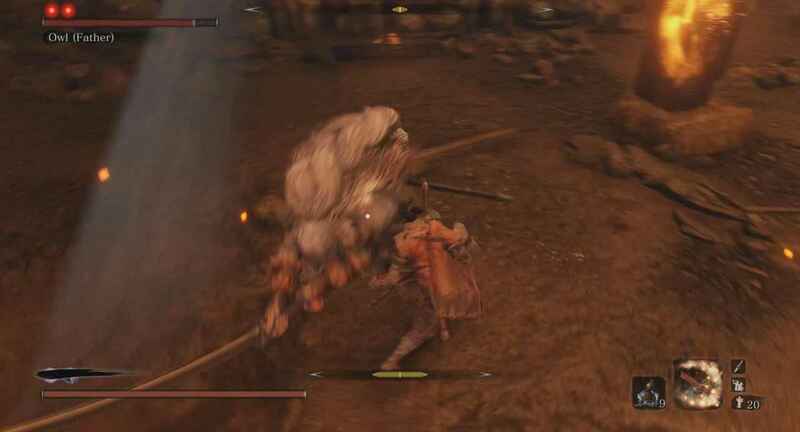 If you dodge backwards too early he will jump towards you performing a slash attack, which can be deflected. That Perilous attack can also come after a two-hit combo. If you are far away from him, the Perilous symbol appears, and he holds the sword in the position shown below you want to Miriki Counter his thrust attack. He can also jump backwards and send out some more gunpowder. For this attack, you want to run backwards a little. Owl will almost always follow this up with another Perilous thrust attack which you should Miriki Counter. He can do a grab attack if you are a close-medium range from him. This happens rarely and you shouldn’t worry too much about it. It can easily be dodged by stepping back a few times. That covers phase one. The key here is to get Owl’s health down to half and rely on deflects from then on to keep his Posture bar filled, as it will decrease very slowly once he hits that health threshold. Phase two is almost identical. The big change here is that he has an owl that is constantly flying around. After he finishes an attack, your Father, Owl, can vanish. The bird will then fly around and Owl will spawn next to you and slam. This can easily be avoided by just running around until you hear Owl slam his sword. From there, use the same strategy as the first phase. The second new attack happens when Owl summons his bird close to him and it turns red. You want to jump over this Perilous sweeping attack. Owl will then immediately follow this up with a Perilous thrusting attack that should be Miriki Countered. You will want to be ready to perform this counter as it happens shortly after you have landed back on the ground. That covers both phases of this fight. It is a tough, ticky fight that is heavily reliant on not being greedy and keeping your composure. 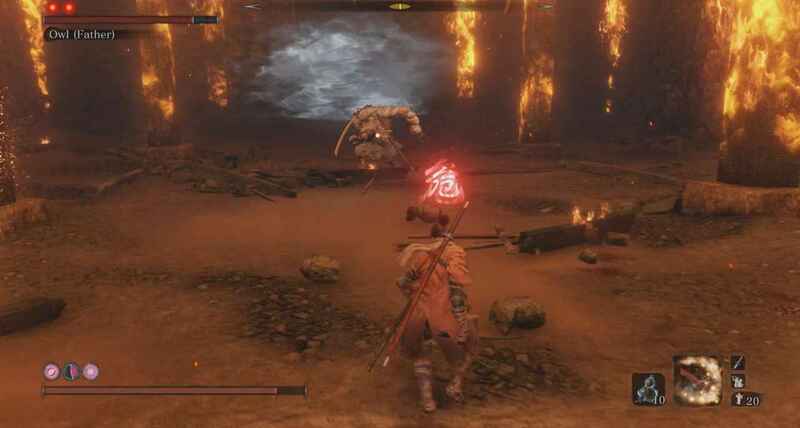 You can check out all of our Sekiro content here.